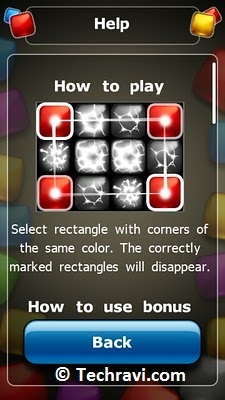 Based on SPB Quadronica, SPB Quads is an arcade game for touchscreens. The player's goal is to reveal and mark rectangles' corners of the same colors in a field filled with color bricks. 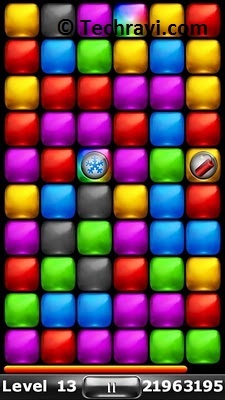 The two modes in the game (time-limited and endless) effectively create two different scenarios of playing. The game is extremely smooth to play, and the animation is fast and appropriately explosive. There is also a good mix of music and sound effects within the game, and volume controls built in to the game options, so you can play quietly if you want. It is a shareware game , so, please buy to play full version game. Symbian^3 : Nokia N8 ,Nokia E7 , Nokia C7 ,Nokia X7, Nokia C6-01 and other Symbian^3devices. 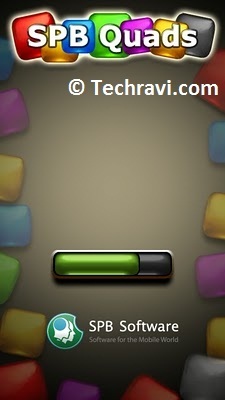 You can download this game from Nokia store. Please bookmark (ctrl+ D) my for future updates.